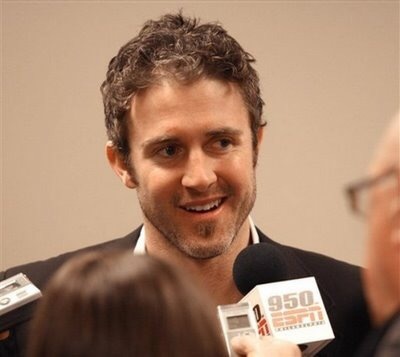 I’m really sad about writing this post, I was in denial for a while when the talk around SportsCenter and on Phillies news was about Chase Utley’s contract. I really REALLY can’t believe he will no longer be a Phillies player- that really hurts especially when I got to meet him and see for myself what a nice person he and his wife are. I think the city will definitely miss Chase and his wife Jennifer a lot! They both do so much for the ASPCA and are very active in the city. It’s going to be weird going down to a Phillies game and no longer recognize the second baseman. But, I am very happy for him too, he is going back to LA where he is originally from, he attended UCLA and then started playing for the Phillies. I also think it’s going to be amazing getting to see Jimmy Rollins and Chase be back together! The dynamic duo will be back in tack and that is something that really makes me smile. 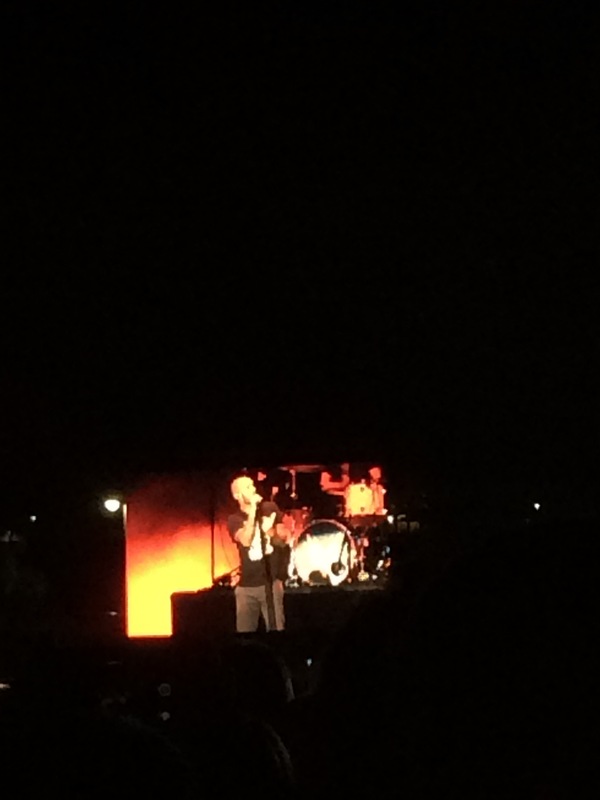 Over the weekend my family and I went up to Hershey to see Maroon 5 play on Saturday night. Can I just tell if you ever get a chance to see them GO! 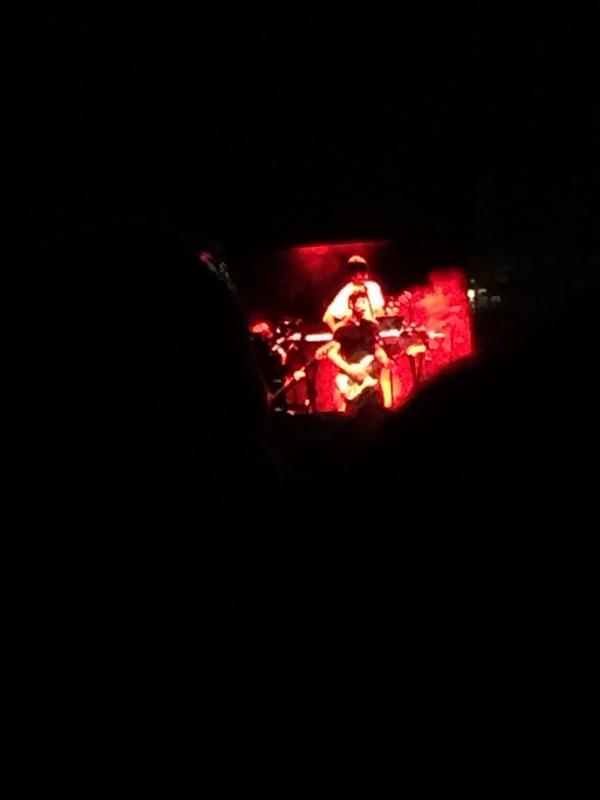 Adam Levine is incredible in concert, he is very energetic and is all over the stage constantly moving. At one point in the concert it was so hot on stage he told the people in control of the fog to turn it down because he was sweating! I was really happy that he sang a mix of both old and new songs because I’m more a fan of his older albums, he sang “Sunday Morning,” which is my favorite song. We also had really great seats, which my sister got for us (well she ordered them) we were row 55 on the floor so while my phone didn’t take the best pictures of the band, I could see them perfectly! Hopefully my phone let’s me post more videos soon! So you know how you pin a million things on Pinterest either a craft or a meal, but don’t actually do it? 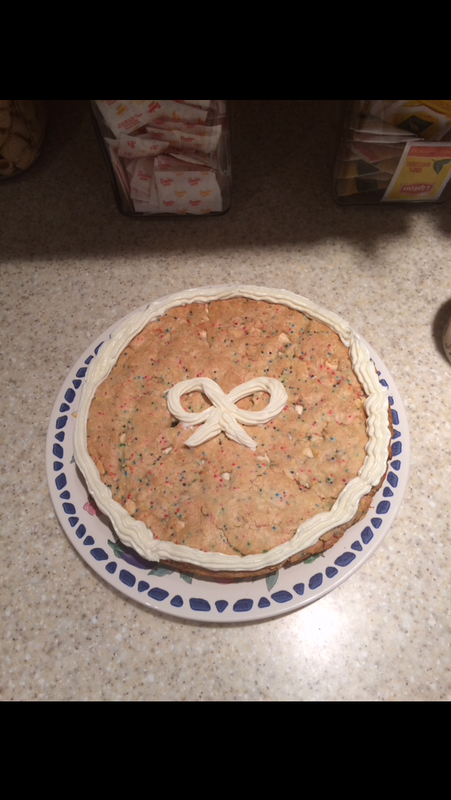 Well I have some exciting news I made a cookie cake that I found off of Pinterest and it was delicious and so cute that I really didn’t want to eat it…but I did because my gosh it was delicious! Here is the recipe below if anyone is interested it honestly is super quick and easy to make- and this is coming from a girl who uses the kitchen as a walk through so that should tell you something about my level of skills in the kitchen (or lack of). 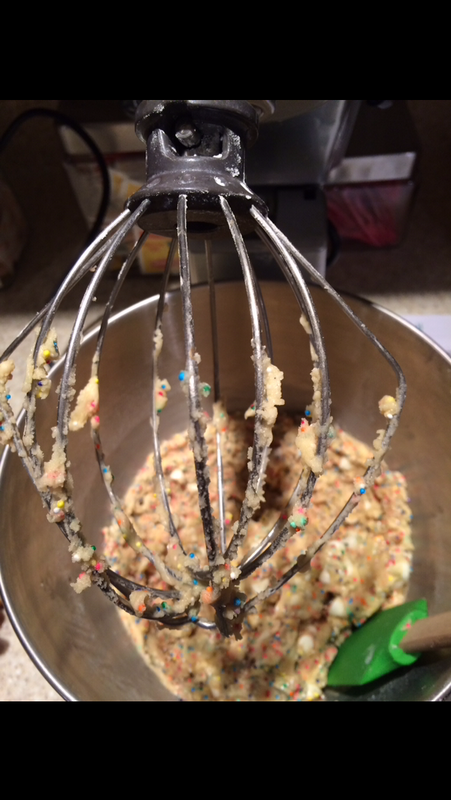 ***It was very hard even with the mixer getting to mix all the ingredients so make sure everything really mixes! 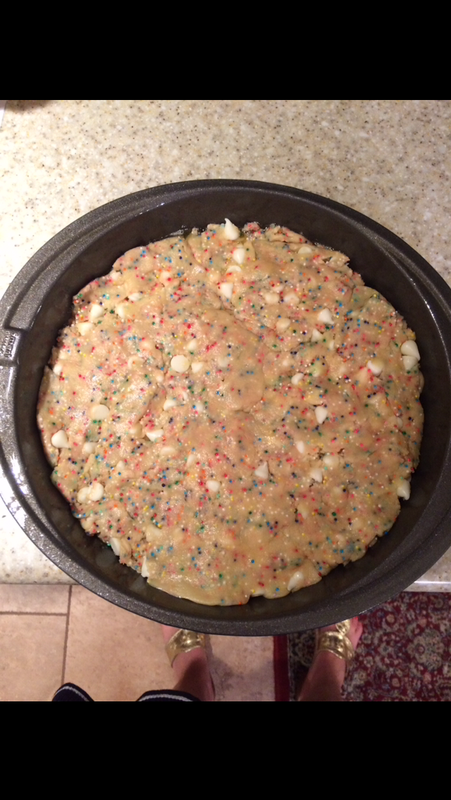 ***Important to note I would take the cookie cake out around 20ish minutes because the bottom and sides of mine were a little for brown and I set the timer for 25 minutes. With a handheld or stand mixer fitted with a paddle attachment, beat the butter on medium speed until creamy – about 2 minutes. Add confectioners’ sugar, cream, vanilla and almond extracts with the mixer running on low. Increase to high speed and beat for 3 full minutes. Add more confectioners’ sugar if frosting is too thin or more cream if frosting is too thick. Add a pinch of salt if frosting is too sweet. I usually add anywhere between 1/8 – 1/4 teaspoon of salt. That same night I also tried a chicken lettuce wrap recipe to try that supposively tastes like P.F. Chang’s Lettuce wraps and I gotta tell you it was spot on! I had a lot of left overs so I was able to heat it up and top it on a salad which was really good too. All in all I think I’ll have to look up recipes more on Pinterest because anything new is fun to eat! Does anybody have any summery recipes to try?